Ad cards – also known as advertising cards, post cards, or rack cards – are a cost effective and…well, just plain effective way for businesses to advertise. These cards can be used to advertise your business to potential customers, promote discounts, special offers, and events to existing customers, and so much more. But in order for them to work the way you intend, ad cards need to be aesthetically pleasing. This means professional printing. Time Printers is a full service printing products and services business located in Baltimore, Maryland. Our experienced sales team can help you design ad cards that will help promote your company and drive business. Our graphics team of experienced professionals can help you bring your vision to life in a timely and affordable manner. Using rack cards and postcards to promote your business or organization is not only affordable but also highly effective. We use only the highest quality materials in the printing industry with custom sizes and specialized finishing options. According to the United States Postal Service, 98% of people bring their mail in each and every day and 77% sort through it immediately. By sending ad cards directly to potential and existing customers, you can all but guarantee your message is being seen. Television, radio, and email advertising can’t promise that! Just think about how easy it is to turn the channel or delete an email to avoid ads. Repeat business is the name of the game. According to researchers at Harvard found that by increasing repeat visits by just 5%, profits can increase anywhere from 25 to 125%. And ad cards can help attract existing customers back to your business by promoting deals, specials, and other potential savings. Ca-Ching! Ad cards are very cost effective and provide a powerful alternative to the common brochure. To learn more about Ad Cards, please give us a call at 410.566.3005 or click here. You can also connect with Time Printers on Facebook, Twitter, Google+ and Pinterest as well. In today’s what have you done for me lately business world, it is important to stay in front of clients and potential clients. And there are several ways to accomplish this. 1) Print and television advertising are still the go-to solutions for most businesses. However, these forms of advertising can be expensive and there is no guarantee that your commercials will be seen by your target audience. 2) Promotional giveaways are a cost-effective alternative to traditional advertising. 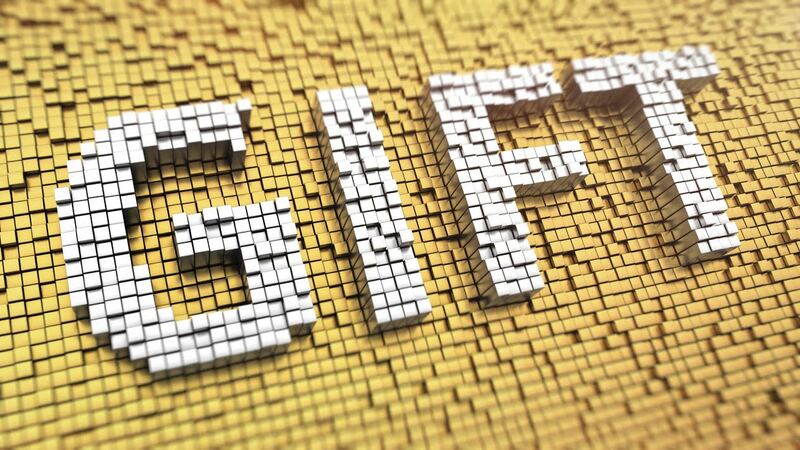 52% of companies surveyed said they have a positive impression of a company after receiving a promotional giveaway, and 50% use those products on a daily basis. Promotional giveaways are branded items distributed to clients and potential clients free of cost to them. These items are used as promotional tools to help get your business in the public eye in the most cost-effective way possible. Of course, this is just the tip of the iceberg. While other promotions may be more widespread, promotional giveaways can be easily targeted to clients and potential clients. This helps give you more bang for your buck. After all, it probably isn’t helpful to run a commercial if 90% of the people who view it have no interest in your business. Promotional giveaways, meanwhile, can be distributed to only those individuals who would have an interest in working with your company. As we mentioned already, 50% of the people who receive promotional giveaways use those giveaways on a daily basis. This means that they are exposed to your business each and every day. Now you would have to pay A LOT of money to have the same effect with a print or television advertisement. 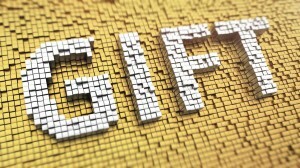 Because promotional giveaways are branded, they can help further your branding efforts and increase brand recognition. Time Printers is a full service printing products and services business located in Baltimore, Maryland. Our experienced sales team can help you design promotional giveaways, such as pens, tote bags, notepads, and so much more, that will help communicate your business goals and further your branding efforts. To learn more about Promotional Giveaways, please give us a call at 410.566.3005 or click here. You can also connect with Time Printers on Facebook, Twitter, Google+ and Pinterest as well. Even in today’s digital age, printed materials still play a vital role, especially in the business world. And while a multitude companies are taking their invoicing online, many clients still prefer receiving a hard copy. It’s real, it’s concrete, it’s clear, and it helps put your clients at ease. Paper invoices are easier to file, making it easier for clients to keep track of their finances. People trust what they can see and hold. Paper invoices are more intuitive. People have worked with paper invoicing their entire lives. In some cases, invoices can be pre-numbered if necessary. Technology, as helpful as it can be, is not always reliable. Each invoice – when professionally designed and properly branded – acts as an advertisement for your business. 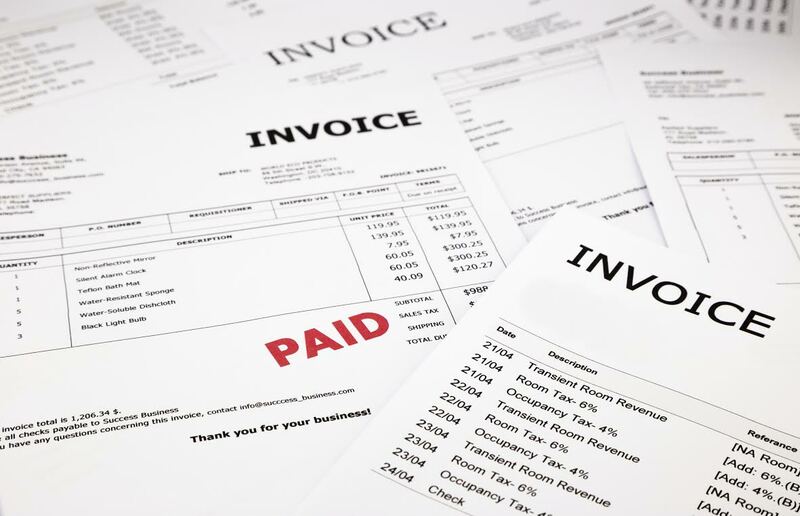 Your invoice is a pivotal tool in the success or failure of your business. After all, receiving prompt payment is pretty important. Your invoice should be clear. There shouldn’t be any questions about the terms of payment. This can be accomplished in several ways. 1) The design of your invoice should be clear and concise. If the invoice is overly cluttered, it can be hard to read. 2) The information should be as specific and detailed as possible. It should be very clear as to what the client is paying for and when payment is due. Your invoice should reflect your company branding. 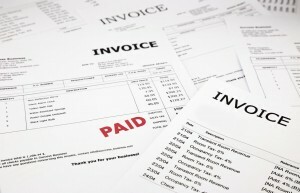 This will not only make the invoice more aesthetically pleasing, but will also help lend credibility to your business. Time Printers is a full service printing products and services business located in Baltimore, Maryland. Our experienced sales team can help you design an invoice that will help communicate your business goals and further your branding efforts. To learn more about Professionally Printed Invoices, please give us a call at 410.566.3005 or click here. You can also connect with Time Printers on Facebook, Twitter, Google+ and Pinterest as well. Whether a wedding, a convention, or…well, any event for that matter, it is important to give your potential attendees advanced notice. At least this is true if you want a well-attended event. People nowadays are busier than ever before, juggling work, the kids, fun (whatever that is), and all of their other responsibilities in life. These people need plenty of advanced notice in order to fit your event into their busy lives. And sometimes an invitation just isn’t enough notice. This is where Save-the-Dates come into play. Save-the-Dates come in many varieties and will need to be designed according to your event. Obviously, a Save-the-Date for a wedding will be drastically different from a Save-the-Date for a business conference. 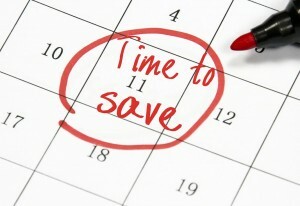 So how can you ensure your Save-the-Dates are appropriate for your event? Time Printers, of course! Planning a special event can certainly elevate your stress levels. Let Time Printers take some of the burden off of you. Time Printers is a full service printing products and services business located in Baltimore, Maryland. Our experienced sales team can help you design Save-the-Dates that will help make your event a successful one. We also offer invitation design and printing, and other event materials. We can prepare a customized event package encompassing all of your printing needs in an affordable manner without compromising quality. Nowadays, people often plan vacations, business trips, and family outings months in advance in order to save money on airfare and other such travel expenses. To ensure your potential guests become your eventual guests, you need to give them plenty of notice of your event. And invitations just aren’t going to cut it. You need something to go out sooner rather than later. You need Save-the-Dates. Save-the-Dates do not replace invitations, but instead serve to give guests extreme advanced notice of your event. The Save-the-Dates will ultimately be followed by the more formal invitations down the road. To learn more about Professionally Printed Save-the-Dates, please give us a call at 410.566.3005 or click here. You can also connect with Time Printers on Facebook, Twitter, Google+ and Pinterest as well. Hosting a convention can be A LOT of work…A LOT OF WORK. Okay, now that we’ve made our point, it’s time to help ease your burden, at least a little bit. Estimate Attendees: Overall attendance is very important to consider. It is far different to plan a convention for several hundred than it is for several thousand. And while you may not have a definitive number yet, simply estimating your total attendance will help you plan the rest of the event. Pick a Date: It is important to get the date out as soon as possible so your potential attendees can plan accordingly. 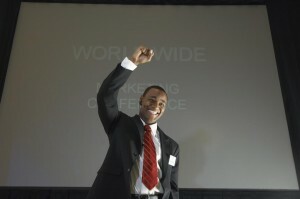 Book the Venue: The entire convention hinges on the fact that you have a venue. Advertising: Once the venue is booked, you should start advertising. Send save the dates, formal invitations, or general reminders to potential attendees. Do anything and everything you can to get the word out. Printed Materials (Convention Printing): Even in today’s technologically driven world, printed materials still make a difference, especially when it comes to running a successful conference. From save the dates and formal invitations to tickets, programs, signs, name tags, and more, there is A LOT of printing to consider. Time Printers is a full service printing products and services business located in Baltimore, Maryland. Our experienced sales team can help you design convention materials that will help make your event a successful one. Time Printers is a company you can trust with your convention printing needs. We can handle everything from tickets and programs to signs, badges, and so much more. At Time Printers, we feel our job is making you look good. In the world of printing, there are literally a myriad of options. If you have a specific need not found on our site, do not fret. In all likelihood, we can still help. To learn more about Convention Printing, give Time Printers a call today at 410.566.3005 or click here. You can also connect with Time Printers on Facebook, Twitter, Google+ and Pinterest as well.